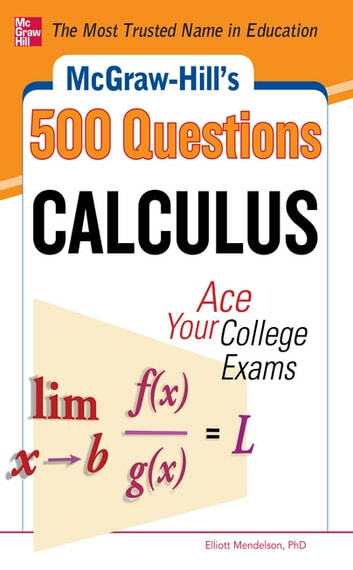 We want you to succeed on your college calculus midterm and final exams. That's why we've selected these 500 questions to help you study more effectively, use your preparation time wisely, and get your best grades. These questions and answers are similar to the ones you'll find on a typical college exam, so you will know what to expect on test day. Each question includes explanations for right and wrong answers for your full understanding of the concepts. Whether you have been studying all year or are doing a last-minute review, McGraw-Hill's 500 Calculus Questions will help you achieve the final grade you desire.